We get lots of requests from teachers at Spanish Immersion schools or teachers with a lot of Spanish-speaking students for more Spanish-language content. We have created some activities with them in mind, and we are happy to share them here. 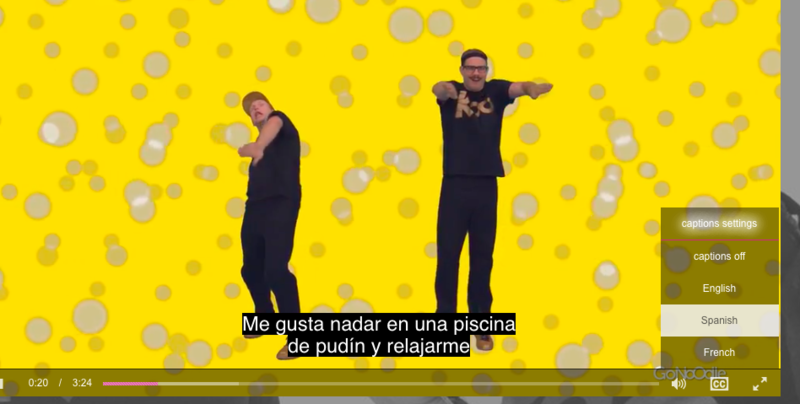 We also have Spanish captions on a lot of our videos. Click the CC button in the lower right corner of the video, and select your caption language. Brainercise with Mr. Catman - stretching videos - most of the videos in the channel have Spanish captions! Maximo - stretching and relaxing videos - most of the videos in the channel have Spanish captions!